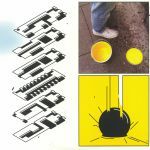 Review: Since debuting with a thought-provoking cassette on Where To Now back in 2015, Melly has brought his brand of off-kilter electronics to Jheri Tracks and, under the DJ Apres Ski alias, Major Problems. Here he returns to the Dublin imprint with a quartet of cuts that are dreamy, head-in-the-clouds melodiousness at the heart of the action. There's something wonderfully blissful and thrillingly positive about near beat-free opener "Shrubbery" - a tropical ambient head-rush of epic proportions - while "Health Is Wealth" is a far more rough-and-ready, forthright take on dub techno than you'd expect. 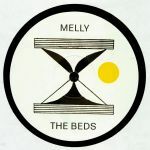 Melly doffs a cap to the current obsession with breakbeat-driven dream house revisionism on B-side opener "The Beds", before rolling something sizeable and diving into ambient dub waters on shimmering closer "Mineral Water".